This statement is bold -- but true. The benefits of exercise range from decreasing body fat and increasing lean muscle mass to improving healthy blood markers and overall health and happiness. 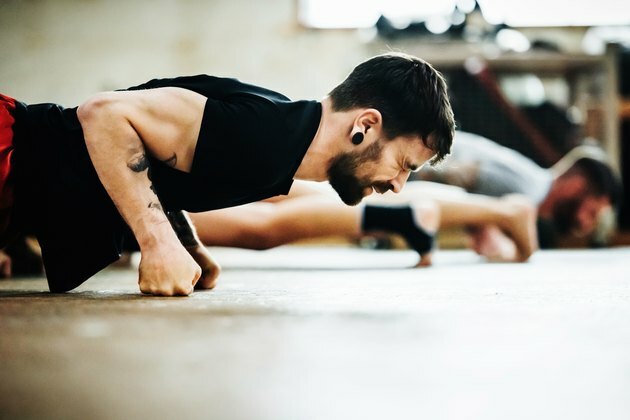 With all of the benefits of exercise, it’s no wonder many of us partake in regular sweat sessions, especially if we’re determined to enjoy a long, healthy life. But an issue occurs when exercise is taken to excess. Unfortunately, like many things in life, too much exercise can be detrimental to our bodies. These consequences can range from acute and chronic injuries to problems sleeping and decreased immunity -- the exact opposite of what exercise is supposed to do. There’s a scale that must be balanced in order to take advantage of the benefits of exercise while preventing the unwanted side effects of overdoing it. This balance involves two main things: exercise (stress) and rest (recovery). Over time, if the stresses of exercise are greater than the body’s ability to recover from them, we begin to experience the dark side of too much exercise. Exercise is stress from which the body must recover, adapt to and, as a result, use to become more resilient. Think of your body as a bank. Exercise can be thought of as withdrawing money from the bank, whereas recovery is a deposit. If you take out more money than you’re putting in, your bank account will be empty and you’ll be broke. Every individual is different, therefore there’s no set amount of exercise that can be defined as excessive, but there are signs that you may be overexercising. It’s important to be aware of these signs before they turn into symptoms or serious problems. Over time, if the stresses of exercise are greater than the body’s ability to recover from them, we begin to experience the dark side of too much exercise. Your Readiness: The simplest sign that you may be overexercising is a consistent lack of readiness for your workout. This lack of readiness isn’t referring to your motivation to exercise (although that can be part of it), but has to do more with how you feel. If you are consistently stringing together sessions in which you are mentally or physically defeated before you even begin or where everything just feels harder than you know it should be, you may be overexercising. Everyone will have a day or two where they just don’t feel up to it, but unless you are ill, if you go into three consecutive sessions this way you should reevaluate your program for intensity, volume and frequency. While the amount of exercise you’re doing may be too much for you at a given time, it’s possible that the next week you’ll be good to go with the higher intensity or volume again. There are many things in life that can represent a withdrawal from your bank account, such as work and family life, and once those things clear up you will have more “money” to spend on exercising. When your heart rate is consistently high or low, it’s a good sign that your body is not recovering properly. If you see this trend, lower the volume and/or intensity of your training until your resting heart rate returns to baseline. Once you notice your heart rate stabilizing, you can increase the volume or intensity incrementally. Your Sleep and Appetite: How well you’re sleeping and how normal your appetite is are both good indicators of your body’s status. If you find that your sleep is consistently disturbed or that you lose your appetite over a few days, you should consider decreasing the amount of exercise you’re doing. We all have a night in which restful sleep is hard to come by every now and then, and we all have a day where our appetite is less than normal. But when a few days like this are strung together, it may be a sign you’re overexercising. 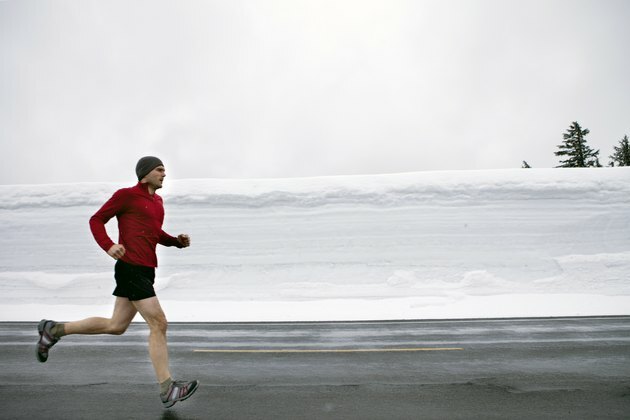 There are several ways you can approach your training regimen to avoid overexercising. Try following the methods below to stave off the ill effects of overexercising. Use a De-Load: Planned periods of reduced volume or intensity are encouraged to prevent overexercising. Taking one week every four to eight weeks and decreasing the amount of weight used (reduced intensity) or the number of sets and reps performed (reduced volume) is suggested. Planning these weeks around vacations, travel for work or other times when getting to the gym is harder is a great way to de-load. Use High-Low Training: Breaking your days up into high-intensity and low-intensity days can help prevent overexercising by giving your systems more time to recuperate. Different energy systems are prioritized during high-intensity work as compared with low-intensity work, and they tax the body differently. To avoid overexercising, avoid training at a high intensity on back-to-back days or, even worse, on more than two consecutive days. Instead, alternate days of high-intensity work (heavy resistance training, sprints, etc.) with low-intensity work (longer, slower runs, body-weight circuits, etc.). Switch Your Mode of Exercise: It’s common knowledge that you need to switch up your exercise routine every so often in order to continue to see progress. This prevents the body from adapting to the stresses of exercise and stalling your progress from lack of new stimuli. Not only will your progress cease, but you’re also at a greater risk for overuse injuries as a result of overexercising because the same stresses are placed on the body over and over again. In order to prevent this, switch up the sets, reps and focus of your program. You can also switch up the exercises performed or the number of sessions you complete each week (your training split). Along with switching up your mode of exercise, you may also have to modify a training day. If you go into a session feeling overly sore, extremely fatigued or even mentally exhausted, you’re better off having a lighter backup plan. Try performing body-weight exercises, low-intensity conditioning or simply taking an active rest day and going for a hike, bike ride or swim. You’ll be proud you traded a suboptimal training session for a recovery session when you’re able to go at full speed the next day. 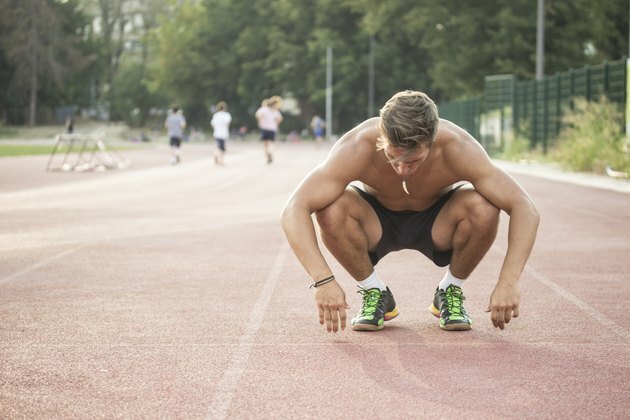 Overexercising is a real issue that can result in serious health and performance issues. Keeping a close eye on the signs that you may be overexercising is key. Even more important is taking the preventive measures above to decrease the chances of overexercising. So tell us: Have you ever experienced the ill effects of overexercising? What happened? What did you do to recover? What did you or will you do to prevent it from happening again? Did you find any of these tips helpful? Share your thoughts, stories and questions in the comments section below! How Do I Relieve Post-Workout Fatigue?